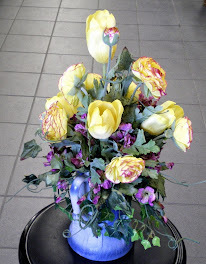 To enter more contests..... My first one with a voting element! 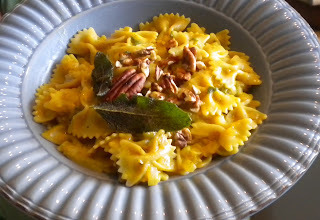 Check out my recipe Butternut Bowties with Brown Butter Sage & Pecans at Wolfgang Puck's website. Voting is only until Thursday - you can vote once a day and tell all your friends! New Year Resolutions and "The Pioneer Woman Cooks"
Welcome to 2011! I haven't been much in the meal planning mode through the holidays - just finding recipes and making them. I have 2 major food related resolutions for 2011 and I'm happy to report at least one of them has to do with more blogging! Last year for Christmas (2009) my Chickies gave me the "The Pioneer Woman Cooks". I made the Macaroni and Cheese as written in the cookbook and lots of her recipes from the website.... but for this year I've decided that I will make every single recipe in her cookbook, take a picture and blog about it! YEA! 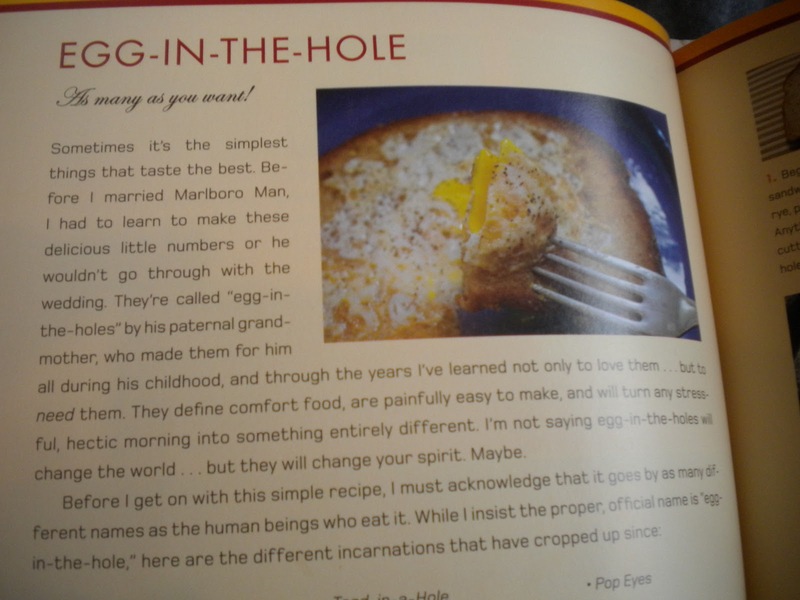 For our first recipe, KK had me a pick a number from 1 - 247 (the number of pages in the books) and I picked number 47 - Eggs in a Hole. It was a quick, easy breakfast that we all enjoyed. 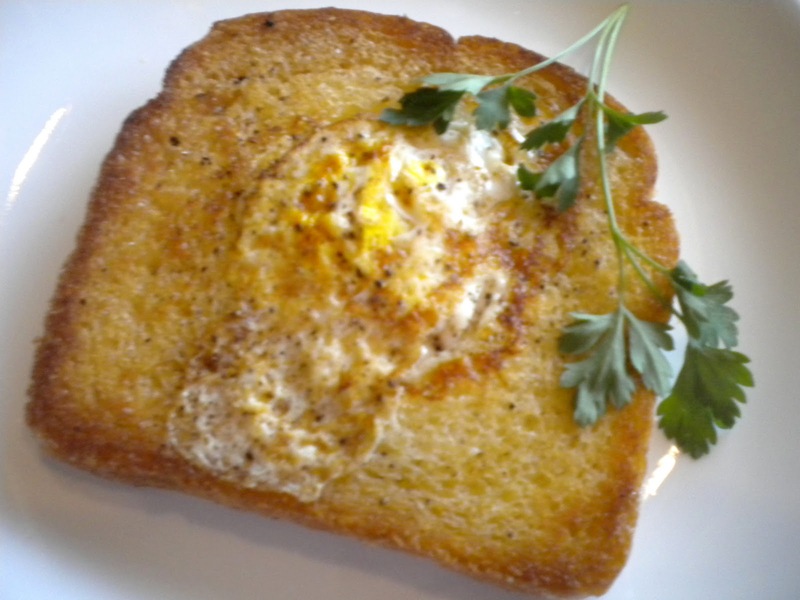 Eggs, butter, and bread - what's not to love! Next up is Marlboro Man's favorite sandwich (picked out by KK). Stay tuned for the results. If you want to cook along - I'd love that. Just post the link to your blog here in the comments or on my Facebook wall at HICK CHICK WA. And.. oh, my other resolution - to enter at least one cooking contest a month all year long. :) I'm doing very well with that one. 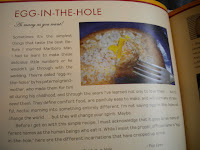 So, if you are a regular reading here at the Hick Chick, I know you know that I really dig The Pioneer Woman. She is having a nifty little printer giveaway on the cooking section of her blog..... check it out and enter yourself! We have a winner! Suburban Prep you are the lucky winner of the Moderation Nation Journal... YEA! Please contact me at melody0112@yahoo.com with a mailing address and I will get it out to you ASAP.